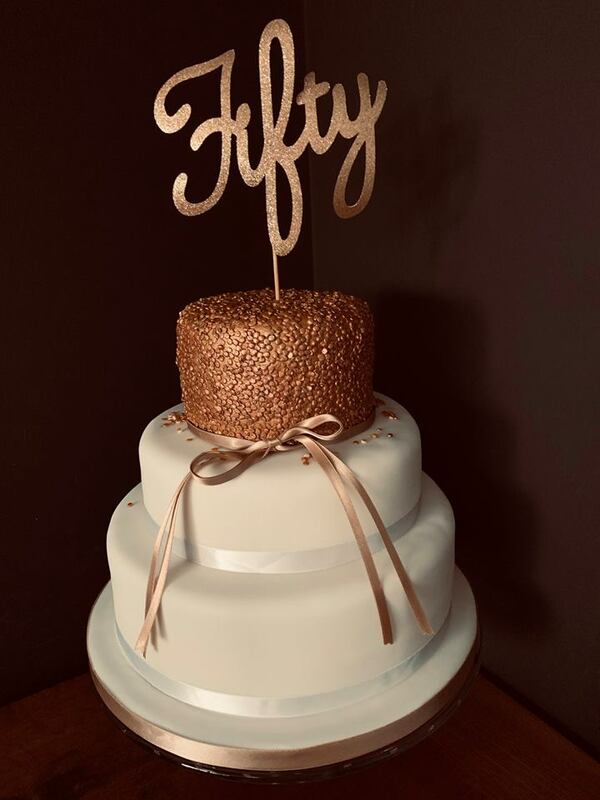 A sparkly rose gold and white 50th birthday cake. Cake is vanilla sponge with vanilla bean buttercream and raspberry jam. Happy Birthday Lisa, hope you have a fabulous time celebrating in Derbyshire!